I found this book to be totally engaging and very well written. 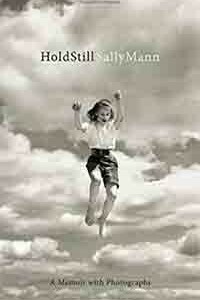 Sally Mann takes us down the path of her life, giving us a history of her parents’ lives, and the different ideas and energies that ultimately led to her being one of the most widely respected artists of photography around the current art scene. She talks about her relationship to her art as well as the fall out from her fantastic book IMMEDIATE FAMILY, published in 1992. Many people took great umbrage with her for publishing the photographs of her children that made up the book. She gives us a great glimpse into the artistic process and journey that has been hers as she has traveled down her own path as a much respected photographer. I loved this book and would unabashedly recommend it to anyone interested in the life of a courageous, revealing and talented artist.